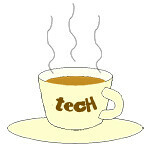 SMU « Tech bytes for tea? The relaunched company is targeting growth by four times in the next four years, on a quest to establish itself as Asia-Pacific’s leading cyber security player. “Following the relaunch, our new brand identity, renewed business focus and increased investments will bolster Quann’s capabilities to address the region’s growing need for cyber security services. This positions us well to achieve our ambition of four-fold growth by 2020 and become Asia-Pacific’s leading cyber security player,” said Foo Siang-tse, Managing Director, Quann. e-Cop was a homegrown Managed Security Services Provider and a business unit of Singapore’s leading security organization Certis CISCO. “Security is in our DNA and we provide a unique value proposition to our clients. By combining cutting-edge technologies with the skills, insights and experience of our cyber security professionals, we are able to provide organizations with comprehensive and customized security solutions, which are underpinned by robust processes and resilient infrastructure,” said Foo Siang-tse, Managing Director, Quann.. The company has now relaunched as Quann – pronounced “kwan” as in the word “quantity”. The initiative comes with the expansion of its security offerings and next-generation Security Operations Centers (SOCs), as well as investments in manpower development. This will enable Quann to expand its current regional footprint across Asia-Pacific and beyond. The relaunch also introduces a new logo and tagline, which represent Quann’s business focus and objectives. The logo symbolises the continuous circle of protection afforded to customers. “LiveLabs Urban Lifestyle Innovation Platform“ (LiveLabs) and “SmartHub“ are two complementary innovation platforms in consumer and social analytics that will strengthen Singapore’s capabilities in Interactive Digital Media (IDM) Research & Development (R&D). LiveLabs director, SMU Associate Professor Archan Misra (3rd from right) explaining to Deputy Prime Minister Teo Chee Hean (2nd from left) how location and context data would be collected from consumers’ mobile devices. Looking on were SMU President, Professor Arnoud De Meyer (1st from left); StarHub CEO Neil Montefiore (2nd from right); and LiveLabs director, SMU Assistant Professor Rajesh Balan (1st from right). These two National Research Foundation (NRF)-supported innovation platforms will provide city-scale test-beds where home-grown and global players can jointly develop, test and launch their IDM-based products and services, not just for Singapore, but for the region. “Through the launch of LiveLabs, SMU hopes to help businesses, particularly those in the retail, tourism and hospitality sectors, gather useful, context-based consumer and social insights based on the behavioural patterns of real-world users. This will enable participating companies in Singapore to tap high-value opportunities,” said SMU President, Professor Arnoud De Meyer. With an investment of some $50 million, the two innovation platforms are expected to help speed up the commercialisation process of R&D, increase the quality and quantity of IDM innovations, help businesses gain useful insights into consumer behaviours, as well as catalyse more collaborations between the academia, industry and public-sector organisations in developing IDM innovation. Together, the launch of SMU’s “LiveLabs“ and StarHub’s “SmartHub“ will help to sharpen the competitive edge of Singapore companies and position Singapore strongly and favourably as a regional hub for consumer and social analytics. Deputy Prime Minister, Coordinating Minister for National Security, Minister for Home Affairs and Chairman of National Research Foundation (NRF), Mr Teo Chee Hean graced the “LiveAnalytics@SG: Launch of LiveLabs & SmartHub” event held at SMU as the Guest-of-Honour. Here’s a selection of interesting tech events happening this week (4-10 November 2012). It is not an exhaustive list and represents only a sampling of events that gives a taste of the tech pulse in Singapore. What are some of the more interesting tech events happening in Singapore this week? This looks like a relatively quieter week after all the buildup of launches for Windows 8, Windows Phone 8 and iPad mini over the past few weeks. It’ll be a good breather before SITEX 2012 rolls into town towards the end of the month. Event listing on tech4tea.comYou can see this selection of events in the right sidebar on every page.Event organisers can submit your events for listing to johntan@tech4tea.com – but there are no promises that your event will be featured. SingTel kicks off its exhibition of ICT innovations in its repositioning as an ICT solutions provider. For those marvelling at how marvellous Skyfall is, Datasat RS20i is the audio & video processor that delivers the impact in high-end private cinemas in Singapore. Mid-week, VMware delves into Cloud computing in its vForum 2012 in Singapore, discussing key findings from the annual VMware Cloud Index. We’ll also get to hear Veeam’s insights and reactions to the report. Below is the event listing for the week.